Common Name: Creat, Kariyat, Indian Echinacea. We provide Andrographics Paniculata Plant to our clients. It is known for its various uses. Backed by our expertise in this domain, we are specialized in offering a broad range of Andrographis Paniculata to our customers. This Andrographis Paniculatan is a traditional medicine that has been used to treat infection and many other diseases. To fulfill the requirements of our clients, we offer these products in bulk. - Andrographolide 5% & Andrographolide 10%. AayurMed cultivates, sources, supplies and export Andrographis Paniculata (Kalmegh) for last 30 years across the globe. 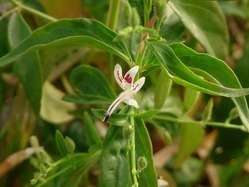 Our Andrographis Paniculata (Kalmegh)is used for various medical and cosmatics purpose. 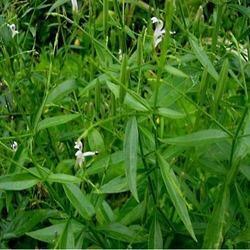 Our company is also involved in providing Andrographis Paniculata. We offer good quality Andrographis Paniculata extract that is popularly known as Kalmegh which is known for its high medicinal properties. Andrographis paniculata contains 8-10% of Andrographolides.